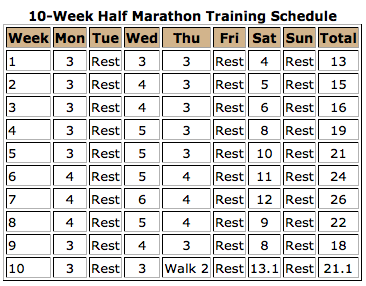 This entry was posted in Beginner's Guide and tagged 10-week, beginner, half marathon, plan, program, running, schedule, training. Bookmark the permalink. could assume you’re an expert on this subject. Fine with your permission let me to grab your feed to keep updated with approaching post. Thank you 1,000,000 and please carry on the enjoyable work.